Only to add to your post. Avionics are an expected edge (DAS-HMDS, multi-ship sensor fusion, etc). But, you really ought to add, if not emphasize, the stealth & maintainability aspect. They no longer talk in terms of an air craft. Disclosures made by USAF brass have revealed it to be stealthier than the F-22. And its been designed for resilience - the manufacturing precision is in a class of its own requiring no epoxy application. Its the Toyota-Honda factor (i.e. not the fastest or nimblest thing around, but combines good performance, superb production quality & reliability with large economies of scale) and an Amazon-style logistics system, that make it the best overall package. They have started to introduce IoT at every step of the way, thus reducing errors across the board. Next step is to introduce embedded AI, self healing components. Already implemented (AI), by some vendors, at early stages, manufacturing as an example: extrusion, etc. In addition they are implementing granular testing: diode level. As components are assembled risks are computed based on track-able components. Easy to track problems. If need be easy to fix too. These are fundamentally different aircraft supporting different needs and at different maturity levels. The PAKFA is the first clean sheet fighter design for Russia in the post flanker era and is their first large scale production investment into Low-Observables. The F-35 is a multi-service 5th generation strike fighter which will have the distinction of being the first to take low-observable designs and mass produce them which it is doing with deliveries north of 60/yr. already in 2017 (and it is still not out of Low Rate Production phase) . It's the first "quantity" 5th generation fighter which has been designed from the ground up to be produced in large numbers for both the primary customer but broader NATO and non NATO US allies. This extends beyond the aircraft to how it is supported, sustained, modernized and the training and logistical element and industrial partnerships. Of course from a purely technical and manufacturing perspective Lockheed and the USDOD has been investing in R&D and production of LO aircraft and weapons for decades so there will be benefits and advantages both technical and those associated with hands on experience of operating them. Avionics and LO advances aside the biggest advantage the F-35 enjoys is the scale i.e. delivering dozens of airframes to its primary customer every year. This is easier said than done and it will be interesting to see how long the Russians take to achieve F-22 level production rates let alone those approaching the F-35. Indranil wrote: That would be wrong. They employ the same generic layout. The 57 makes some compromises for better RCS, but makes up for it through power. This is the same as in the F-22. F-22 makes the same kind of compromises, actually more than that of the Su-57. So in aerial capability, I would place it slightly over the F-22. The F-35 does not hold a candle to either of these 2 in aerial capability. There is no generic layout if you mean having a wing , fuselage and tail then all aicraft has it and its generic to it. Where the F-35 gains is its avionics and mission computer which is a generation ahead of the F-22/Su-57. F-35 is the absolute leader in this aspect. Everybody else is playing catch up. Brar giving up?? Must have reached lowest of lowest bottom. He is extremely patient! If someone continues to push demonstrably false information and blatantly lie repeatedly, what else can one do? If he/she think its ok and the community is fine with it then who am I to question it. You are too kind sir! I put that individual on ignore list half a decade ago!! They have F135-like chevrons on the exhaust for LO. So the F-15 does not have a lifting body design?? McDonnell Douglas attributes the saving of this aircraft to the amount of lift generated by the engine intake/body and "a hell of a good pilot". Come on Austin, IR is on the dot here. The Su-27 legacy is obvious when you see the Su-57 & its avionics are still a work-in-progress and likely nowhere as mature as the ones on JSF or F-22. Let alone the stealth. Austin, There are degrees of body generated lift so that nuance applies. It needn't be a Y or N. The F-15 most definitely generates body lift as Karan points out. There is difference between F-15 and Flanker design , Flanker have a integral lifting body design where the wings didn't just abruptly join the cylindrical fuselage as earlier designs did the wings grew thicker and changed form, getting rounded to blend in seamlessly into the fuselage. This gave Franker design tremendous increase in lifting surface as well as increased internal volume for fuel/equipment. Of course these designs are different. I think the earlier point was that one had body lift and the other didn't. This is inaccurate as both generate body lift. 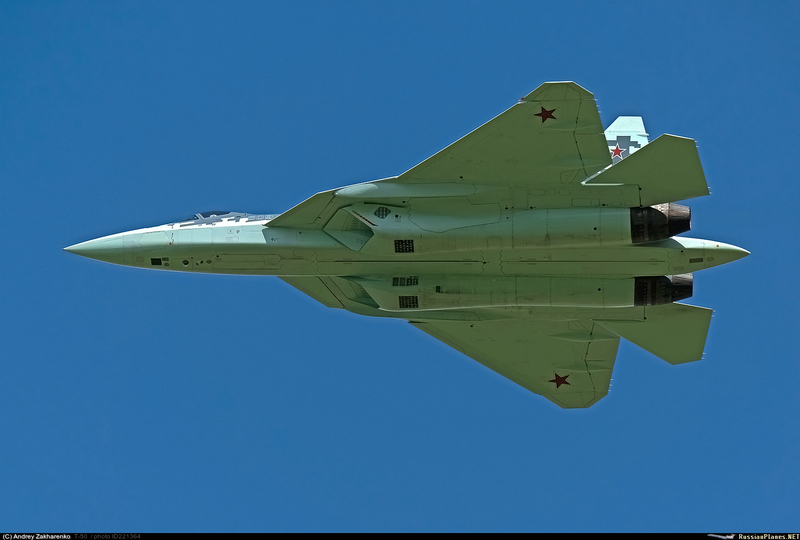 It is also likely true that the Flanker generates more body lift on account of the design. This is also true for the F-14 and F-16 vis-a-vis the F-15 and of course the newer 5th generation aircraft will also be better. The way Su-27 was designed was they started with only the wing, perfected it in WT, and then started adding engine pods, fuselage etc. Thats why the characteristic layout where it feels like the engine pods are hung from below. One can see contiguity of design concept/philosophy from older generation fighters like MiG-25 on Su-27/Mig29 if you see the concept development of the Su27/MiG29 fighters from inception to design freeze. Same applies for PAKFA vis-a-vis Su-27 platform. And similar contiguity can be traced in various American or French design houses too. Su-27 and mig-29 lifting body design with integral wings and fuselage was due to extensive work done by Tsagi which passed on that to the two design bureau who came with with solution in mig-29 and Su-27. Austin wrote: Su-27 and mig-29 lifting body design with integral wings and fuselage was due to extensive work done by Tsagi which passed on that to the two design bureau who came with with solution in mig-29 and Su-27. Sure, Tsagi designed it. Just like LCA is designed by NAL, not ADA. Tsagi did the work on Lift Body Design and provide these to two design bureau to incorporate into their respective design. Tsagi does a lot of R&D pre and post design work for almost every thing that Russian builds and flies , refines or upgrades or even civilain stuff high speed trains or cars ........it is like Alma mater for every design bureau for aviation civil or military or space. ^^ Indeed. No arguments there. It seems that the Indian Air Force (IAF) is not in favour of acquiring the 127 fifth-generation fighter aircraft from Russia due to the "very high cost" involved in the project. It in turn wants to back a DRDO Make in India project - which it is planning to develop a similar plane called Advanced Medium Combat Aircraft (AMCA). It is learnt that IAF's views on the aircraft programme have been conveyed to the defence ministry even as a government panel has expressed its views in favour of the programme. "The Air Force has its reservations on the programme mainly on three points. First, the project cost is too high and way beyond what it had expected. The learning curve is not there as the project is already at an advanced stage and the stealth technology of the planes is not as advanced as that of the other similar planes," senior government sources told Mail Today. The maintenance cost of the planes is also expected to be very high and similar to that of the Sukhoi-30 planes whose maintenance and upkeep has been quite demanding in their around 20 years in the force, they said. "The cost of the FGFA progarmme is coming to be huge. While we have already spent close to $300 million (Rs 2,000 crore) on the preliminary design phase, the Russians are demanding $6.7 billion (Rs 44,800 crore) as the development cost of the planes which is coming to be much higher than what we had perceived," the sources revealed. "The Russians are asking us to make big investments in the programme. While we are planning to induct only 12 of these planes in their IAF, they are asking India to buy 127 of these aircraft," added the sources. Sources said the investment of $6.7 billion (Rs 44,800 crore) would give India only four prototypes of the FGFA aircraft and it will have to pay another $135 million (Rs 900 crore) each for the 127 planes, which would be ready for induction only after 2027-28. The cost per aircraft at the time of delivery in 2027-28, due to high inflation in defence deals, would come around $250 million bringing the total project value to around $32 billion (Rs 2 lakh crore), sources also said. Air Marshal S Varthman committee has recommended that the IAF should go ahead to coproduce the planes with Russia and the Defence ministry has to decide on it taking into account both the viewpoints. Except for rcs reduction, most of pakfa can by ported to super 30 mki... Maybe f15/18 style pods can be added for rcs reduction as well.. The manufacturing facility of the Hindustan Aeronautics Ltd producing Sukhoi fighter jets can be used to build the fifth-generation fighter aircraft if the government decides to go ahead with the proposed Indo-Russian joint venture, T Suvarna Raju, the chief of the aerospace behemoth, has said. Raju said the state-of-the-art facility in Nasik will not require any major investment to reconfigure it to produce the fifth generation fighter aircraft (FGFA).He said there was much in common between the FGFA and the Sukhoi 30MKI jet as both had structural similarities and the plant was well equipped to produce the new generation stealth fighter for which India and Russia have been in negotiations for nearly a decade. “Definitely, it can be used for the FGFA. It will need a little bit of augmentation. We will not need major investment,” Raju, the Chairman and Managing Director of HAL, told PTI. “I will not comment on the justification on expenditure on the project. But, as a country, if we are looking for fifth generation technology and if somebody has offered it to us, then definitely I would like to go for it regardless of the expenditure,” Raju said. There is a view in the defence establishment that India should not go for the project considering the possible cost which has been roughly estimated at around USD 25 billion (around Rs. 1.61 lakh crore). In December 2010, India had agreed to pay USD 295 million (Rs 1,897 crore) towards the preliminary design of the fighter, which is called the ‘Perspective Multi-role Fighter’ in India. However, the negotiations faced various hurdles in the subsequent years. A ha dalaagiri is now being openly resorted to not just by journos but stake holders too. Ensuring jobs and pensions for surplus labor of HAL is more important then consideration whether this jet is really fifth generation, or is suitable for the Air Force. The HAL chief knows if any player other then Russians come in they will opt for a Private player. The HAL chairman or govt appointed stooge will then not have the opportunity of setting safe production targets and boasting of bettering it. Oh i forgot the photo ops of handing a cheque of "dividends" to the clueless central minister. What a bloody circus that is every year. MROU (Maintenance, Repair, Overhaul & Upgrade) facility for the Rambha needs to exist whether FGFA comes or not. Upgrade of Rambha to Super Sukhoi (SS) needs to be done in India, with SS kits coming in from Russia. All MRO work needs to be done in India. If large amount of flanker infrastructure can be maintained and retained for future PAKFA assemblies then this is a major positive and will offer quite a cost effective path to domestic final assembly and even component production. Contrast this to legacy F-16 supplier around the world base that had to invest significantly to prepare themselves to produce fuselage, wings and other smaller components on the JSF. This required a fair amount of end-user (government) subsidy and/or commitment of a large order to amortize capital investment. I think Boeing approached HAL for a stake in F-18 MII. If serious, I think it is a smart move on Boeing's part. At times I wonder why journalists do not complete the picture. Why did he not ask what techs does Raju expect? Or in the case of the SEF, what techs will never fall under ToT and which are negotiable? Vips wrote: A ha dalaagiri is now being openly resorted to not just by journos but stake holders too. Ensuring jobs and pensions for surplus labor of HAL is more important then consideration whether this jet is really fifth generation, or is suitable for the Air Force. The HAL chief knows if any player other then Russians come in they will opt for a Private player. The HAL chairman or govt appointed stooge will then not have the opportunity of setting safe production targets and boasting of bettering it. Oh i forgot the photo ops of handing a cheque of "dividends" to the clueless central minister. What a bloody circus that is every year. Please stop frothing at your mount. You don't like something, doesn't give you the right to be abusive. It is every chairman's job to look after the welfare of his employees. Is the chairman of a private sector enterprise any different? Where is C-295? Where is NM-5? These were much simpler projects. I told you PAKFA and Su-30 are similar in the airframe and layout You did not agree. None-the-less, what the HAL chief is saying makes economic sense. Actually, if the engines do come in, I have no problems calling the PAKFA a 5th gen aircraft. NRao wrote: At times I wonder why journalists do not complete the picture. Why did he not ask what techs does Raju expect? Indranil, your point is well taken. But let me know the chairman looking after the welfare of his employee at what cost? Getting an aircraft that is not what was promised? The Chairman had no bloody business for so openly pitching for an aircraft that the Indian Air Force has openly expressed misgivings about. Ensuring the jobs and pensions for employees is good but the country and its interest comes first. He is a chairman of an organization and is acting in its best interest. That's sort of his job. Tata chairman is singing praises for F-16. Adani is singing praises of Gripen. Ambani is singing praises of Rafale. Boeing India head is singing praises for F-18. It is their job! As for PAKFA being a 5th gen plane. It is rough around the edges (pun intended). But it has all the makings. And there is substantial innovation too. Aerodynamically, it is second to none. In sensor suite, it is second to none. In fact, one could argue that in these two areas, it will be the world-leader. When properly finished, its RCS will be in the ball park of a F-35, will be slightly higher. In sensor fusion and network centric warfare, F-35 leads the world by 5 years, may be 10. The Europeans can jump all they want. Nobody can take that away from the F-35. Now comes what should India do for 5th gen aircraft. It has to start having a plan for having that tip of the spear. The Chinese are on their way with J-20 and J-31. I am not so sure of the aerial prowess of J-20, but surely it will have very good reach and strike capability. We have no counter for that. We can go for buying F-35, but it will get us nothing but the planes. We want more because we have the AMCA program, and we want some technologies. At the moment the FGFA, is our safest bet. 1. We need 25 squadrons of LCA at two squadrons per year delivered from now till 2030. 4 squadrons of Rafale and 15-odd squadrons of Su-30s will complete my fighter airfleet till 2045. 2. We are starting two more 5th gen aircraft competition. We are going to get 20 squadrons of each from 2035. A medium weight AMCA, and light weight ALCA. Private parties are welcome to form strategic partnerships and bid. The aircrafts have to completely designed and made in India. 3. 6 squadrons of FGFA will be the tip of my 5th gen airfleet which will start to come in by 2025. It could be made simple and financially viable. Unlike the knee-jerk circus that we see now. The IAF of today (or the last two-decades) has largely been stuck with the past trying to fill gaps with things that are out a decade (or two) away even though they sound imminent at that time. By the time they field a competition of foreign fighters, select a winner, sign the contract, induct and operationalize, a lot of time has gone by and the fighers have gone on to become "legacy" types. They seem to be repeating the same mistake as MMRCA with their new SEF/TEF MII plan. Future is with 5th-Gen types and full-commitment needs to be made now to get those in the fleet over the next two decades. Planning for new acquisition needs to consider at least two-decade long process and work accordingly. Current shortfalls could easily be addressed over the next decade by acquiring more locally made LCA Mk.1 and Su-30MKI. Also, investing in their future upgrades, high servicibility rates through PBL, new weapons and other force multipliers. Indranil wrote: We can go for buying F-35, but it will get us nothing but the planes. How would they even let F-35 to integrate with wide assets that India has from Russia , Israel , France and indiginous ones. Rumours are floating around on forums that Pak-fa fflew with Izd 30 engine today. Indranil wrote: In sensor suite, it is second to none. In fact, one could argue that in these two areas, it will be the world-leader. When properly finished, its RCS will be in the ball park of a F-35, will be slightly higher. In sensor fusion and network centric warfare, F-35 leads the world by 5 years, may be 10. The Europeans can jump all they want. Nobody can take that away from the F-35. I don't think anybody (including the Europeans who're all lining up to buy it, save for the French) has disputed the F-35's advantage in terms of sensor fusion. The point about the PAK FA's sensors & RCS being comparable or better than the F-35's is very questionable though. In terms of AESAs, EO, EW, MMI, the likes of Northrop Grumman & Lockheed Martin have had at least a generation's edge over their Russian counterparts (and in several segments, half a gen over the Europeans). As for RCS, the F-35 is the 4th stealth jet the US is bringing to operational service, and like I mentioned in previous posts it incorporates lessons from everyone of its predecessors. The J-20 is an important but the threat is equally serious from the PLAAF's J-10s, J-11s, KJ-200, KJ-2000 fleets, S-300 & S-400 class SAMs and other ground-based air defences. The threat is real and is here and now. The FGFA will come along around 2026-27 but if there's one thing that we'll learned from the MiG-29 & Su-30 acquisitions is that reliability/maintainability isn't really a selling point for Russian systems, and for a new design like the Su-57 that's doubly true. It'll take time for niggling hardware issues, software bugs, spares supply, operational SOPs etc. to be ironed out. ToT may be a plus, or it may not, depending on how much the Russians are willing to transfer and how much we're able to absorb in the AMCA's time frame (case-in-point: the first 10 years of Su-30MKI production at HAL consisted primarily of kit assembly). Meanwhile, the Chinese threat continues to grow both quantitatively & qualitatively. The safest way to deal with that is to tell LM to switch horses before entering the SEF waters. In due time, it can be complemented by the Su-57, while also functioning as a hedge against problems/delays with the latter program. The flight was performed by the Hero of the Russian Federation, the chief pilot of PJSC "Sukhoi Company" (as part of the UAC), Sergei Bogdan. The flight duration was 17 minutes. The flight was completed in accordance with the conditions of the flight assignment. Russian Industry and Trade Minister Denis Manturov said: "A successful flight with a new engine gives an additional impetus to the program of a 5th generation fighter. This is proof of the high potential of Russian aircraft building, capable of creating highly intelligent advanced systems - a unique glider, innovative digital stuffing, the newest engines. " The F-35 would integrate the same way the Rafale or F-16 would. It would plug into the AFNET via the ODL, sending & receiving data collated by the IACCS, which would be similarly linked to all the other IAF air & ground based assets. The F-35 represents one part of an ecosystem of smart weapons and communication tech. The whole ecosystem will have to be brought in, subject to signing several treaties that for example India is not willing to do. WRT Turkey: Very interesting going ons there. Erdogan is miffed that the culinary institute tried to do a coup on him, and has made a U turn and is in Col Pooty's umbrella. Inquiring minds would like to know, whatever happened to the 50 odd lotus petals of the B-61 denomination stored in Incirlik? There is no gurantee that US would allow integration of F-35 into any other assest , considering it is not allowing NATO allay Turkey to integrate with S-400 or close allay like UAE to allow it to integrate with Su-35 ......certainly US officials have mentioned that officially now so all bets are off as far as F-35 goes unless US officially mentions it other wise. F-35 is not in contention for any of IAF or IN program so it really does not matter either ways. MOSCOW, December 6. /TASS/. Russia’s Su-57 fifth-generation stealth air superiority fighter, also known as T-50, had performed its first test flight with a new-generation engine, a source in the Russian Industry and Trade Ministry told reporters on Tuesday. "Russia’s newest fifth generation fighter, T-50, performed its maiden flight with the second stage engine on December 5, 2017, at the Gromov Flight Research Institute," the source said. The 17-minute flight test was carried out by Sergei Bogdan, a chief test pilot of the Sukhoi aircraft maker. "The flight took place in normal regime, in compliance with the flight assignment," the ministry said. 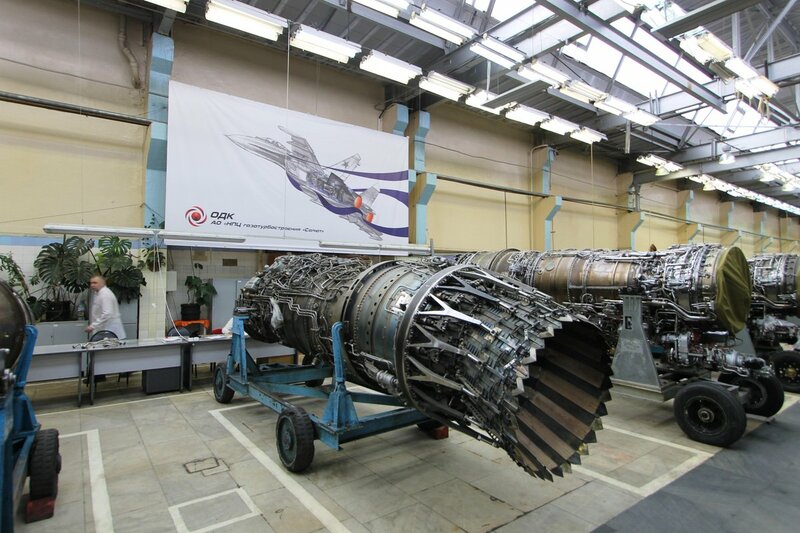 Commenting on the report, Russian Industry and Trade Minister Denis Manturov said the successful test of the new engine "will give an additional boost to the fifth-generation fighter jet program." "This proves the high potential of the Russian aircraft industry, capable of designing smart and advanced systems - aerodynamic systems, innovative digital components, newest engines," he said. The Su-57 fifth generation fighter jet (previously known as PAK FA - the Russian acronym for 'perspective front-line aviation complex') performed its maiden flight in 2010. Currently, nine prototypes are undergoing state trials. Its serial production is expected to begin next year. Sukhoi-57 has a number of unique features of both a strike aircraft and a fighter. Composite materials and cutting-edge technologies as well as its aerodynamic design hinder its radar and infrared identification. Until recently, including during its public display flight at the international air show MAKS-2017, Su-57 was equipped with the first stage engine 117S. Its successor has no name yet and is referred to as "second stage engine. ".